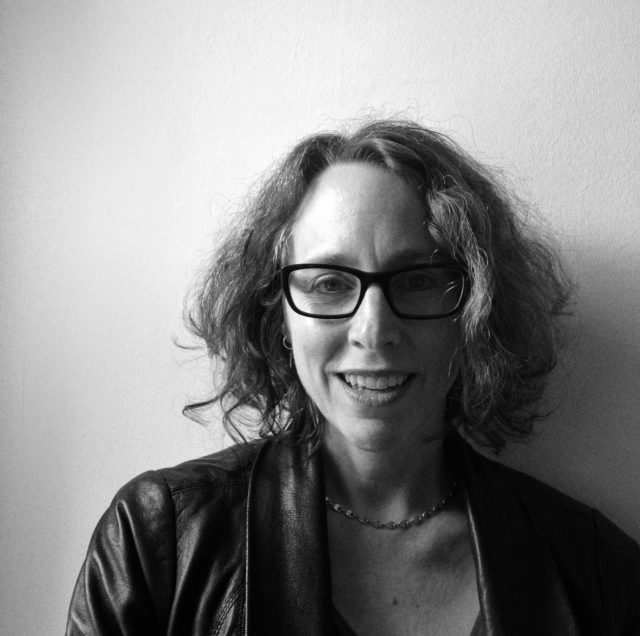 Monica Bohm-Duchen from Birkbeck’s Department of History of Art discusses the ideas that formed the start of the Insiders/Outsiders arts festival and the events taking place nationwide to document the experiences of refugees from Nazi Europe and their contribution to British culture. 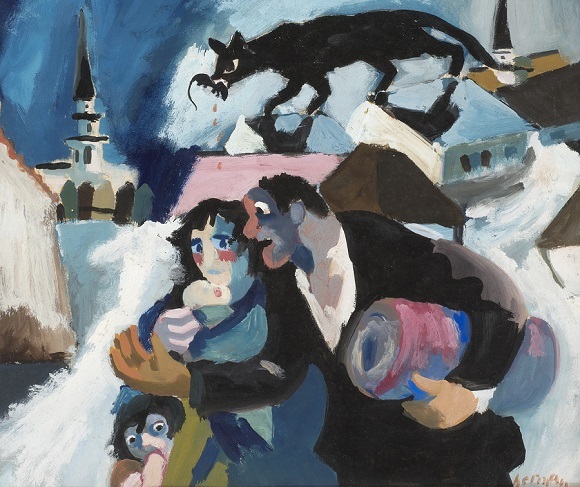 Image credit: Josef Herman, Refugees, c.1941 © Josef Herman Estate, with kind permission, Ben Uri collection. As Associate Lecturer at Birkbeck since 2005, I’ve devised and taught a number of deliberately unsettling BA special subject courses, among them Art and War: 1914 to the Present and Art and Scandal in the Modern Period. In 2016-17, I chose to teach a course entitled The Immigrant Experience in Modern British Art, in some ways a natural if belated sequel to earlier projects I’ve been involved with – above all, the exhibition Art in Exile in Great Britain 1933-45, shown at the Camden Arts Centre in 1986. As the child of parents who both found refuge in this country just in time, the theme of the ambitious cultural project I initiated some two years ago, a nationwide arts festival called Insiders/Outsiders: Refugees from Nazi Europe and their Contribution to British Culture, is understandably close to my heart. But I have little doubt that it was devising the new course mentioned above and realizing the level of student interest in the topic, that also prompted me to undertake this project. From the germ of an idea, the Insiders/Outsiders Festival has grown beyond my wildest expectations to become an umbrella for approximately 100 events in a wide range of different media at venues across the UK. Clearly, the theme of the festival has struck the right note at the right time. Not only is the cultural terrain richly rewarding in its own right, and the stories of the individual protagonists fascinating and often deeply poignant; but the relevance of these émigrés’ experiences to a world in which debates around immigration are rife and racism is once again rearing its ugly head is unquestionable. Although the festival is ultimately affirmative and celebratory, its purpose is also to alert today’s public both to these refugees’ experience of profound loss, dispossession and displacement and to the complex challenges – not to say obstacles – they encountered on arrival in Britain. To my delight, many of my colleagues at Birkbeck have embraced the premises of the festival with enthusiasm. As many readers of this blog will know, the college has a proud history of welcoming refugees as both teachers and students, past and present. Thus, on 9 and 15 March the Birkbeck Institute for the Moving Image (BIMI) is to play host to screenings of essay films by children of refugees from Nazi Europe and Holocaust survivors. Furthermore, over the summer there is to be an exhibition in the Peltz Gallery curated by Mike Berlin, which will focus on the pioneering photojournalistic magazine Picture Post and its coverage of key moments in the history of immigration to this country: from the Jewish child refugees who came to England in the late 1930s as part of the Kindertransport scheme to the arrival in the UK of increasing numbers of West Indian immigrants from the late 1940s onwards. Other institutions forming part of the University of London are also participating in the festival. The Research Centre for German and Austrian Exile Studies is running a series of public lectures on relevant topics throughout 2019; while the summer term of the Courtauld Institute’s Showcasing Art History lecture series will be devoted to topics relevant to the theme of the festival. More academic events currently in the festival pipeline include a symposium being organised by QMUL on the topic of the émigré art historians’ incalculable influence on the discipline in this country. There are also plans for an event focussing on the early history of the Warburg Institute, closely bound up with that of the Council for At-Risk Academics (CARA), which was founded in 1933 as the Academic Assistance Council expressly to help refugees from Nazi Europe – a perfect example of the intimate links between past and present that underpin the Insiders/Outsiders project. 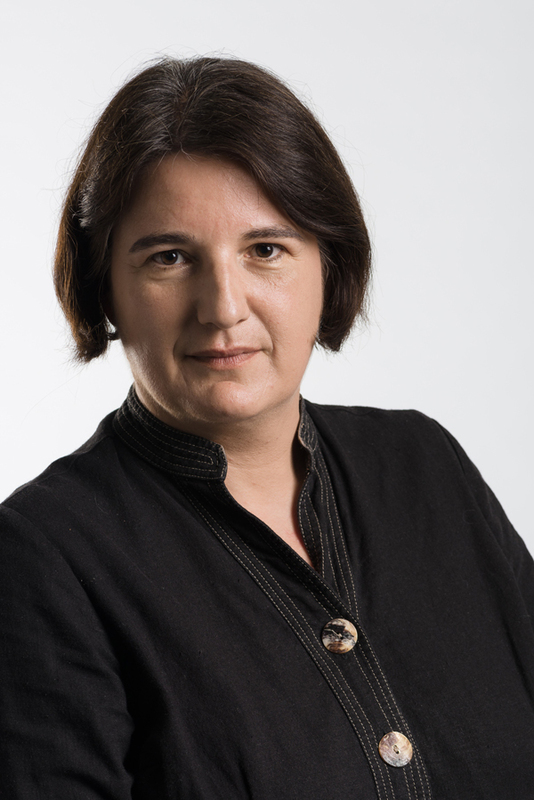 As part of Birkbeck’s Discover our research activity, Dr Silke Arnold-de Simine of the Department of Film, Media and Cultural Studies writes about her current research activity. Hi Silke. What is your current topic of research? My current project is on the notion of ‘challenging heritage’: I am interested in the ways in which ‘challenging’ or ‘difficult heritage’ is interpreted and managed in different cultural and national contexts. My focus is on the question of how personal and cultural memory relate to each other in modes of engagement framed as affective and experiential encounters with the past, most importantly but not exclusively in (memorial) museums and heritage sites that favour immersive strategies and aim to produce empathy in visitors. and how supposedly very different modes of relating to the past (trauma, nostalgia) complement and inform each other in unexpected ways as audiences engage with historical interpretations. One of my case studies is a comparative analysis of commemorative projects around the First World War Centenary. Living between (at least) two cultures (Silke is originally from Germany, but now lives in South-West London) drew my attention to how collectives relate to shared pasts in very different ways: they do not only choose to remember and forget different bits or tell different stories about shared events, they also have very different modes of engaging with the past. Its topicality and relevance to current memory politics, people think of memory as predominantly being about the past but in actual fact the way we relate to the past is mostly about how we want to live in the present. The most challenging element of the research I am doing is that it is situated between subject and research areas, which means that I am often trespassing on other people’s turfs. I have to engage with a broad spectrum of research methodologies, increasingly not only quantitative but also qualitative methodologies, so I am constantly forced to step out of my comfort zones. I have worked with practitioners from various walks of life – artists, museum curators, theatre people – in order to get closer to the audiences which have a vested interest in the role cultural memory plays in all our lives. I think my research can offer a self-reflective perspective on the modes of memory we all engage in every day and identify how we can mobilize strong affective responses as catalysts that help to transform unprocessed affect into emotional thought (and when I am very hopeful) also into actions. What misconceptions are there around your discipline or area of research? When I tell people that I work on First World War Commemoration they often think that I am a historian and that I actually work on the First World War. Some are rather disappointed to learn that I am first and foremost interested in the way contemporary societies relate to the First World War and how they narrativize the past in the here and now. My focus on cultural memory is also difficult to explain, most people associate memory with the ability of an individual to recall experiences and events through which they have lived. However, the concept of cultural memory provides a conceptual framework that helps to interrogate how smaller or larger groups (families or nations) ‘remember’ and keep memories alive beyond the lifetime of the actual memory bearers. 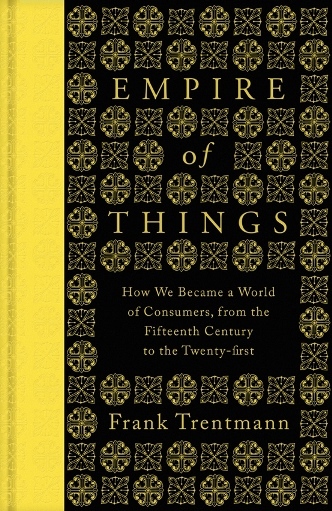 The following are two excerpts from Prof Frank Trentmann‘s new book, Empire of Things How We Became a World of Consumers, from the Fifteenth Century to the Twenty-First (UK: Allen Lane, 2016; USA: HarperCollins, 2016). In the book, which has been released today, Prof Trentmann unfolds the extraordinary history that has shaped our material world, from late Ming China, Renaissance Italy and the British empire to the present. Astonishingly wide-ranging and richly detailed, ‘Empire of Things’ explores how we have come to live with so much more, how this changed the course of history, and the global challenges we face as a result. We live surrounded by things. A typical German owns 10,000 objects. In Los Angeles, a middle-class garage often no longer houses a car but several hundred boxes of stuff. The United Kingdom in 2013 was home to 6 billion items of clothing, roughly a hundred per adult; a quarter of these never leave the wardrobe. Of course, people always had things, and used them not only to survive but for ritual, display and fun. But the possessions in a pre-modern village or an indigenous tribe pale when placed next to the growing mountain of things in advanced societies like ours. This change in accumulation involved a historic shift in humans’ relations with things. In contrast to the pre-modern village, where most goods were passed on and arrived as gifts or with the wedding trousseau, things in modern societies are mainly bought in the marketplace. And they pass through our lives more quickly. In the last few hundred years, the acquisition, flow and use of things – in short, consumption – has become a defining feature of our lives. It would be a mistake to think people at any time have had a single identity, but there have been periods when certain roles have been dominant, defining a society and its culture. In Europe, the High Middle Ages saw the rise of a ‘chivalrous society’ of knights and serfs. The Reformation pitched one faith against another. In the nineteenth century, a commercial society gave way to an industrial class society of capitalists and wage workers. Work remains important today, but it defines us far less than in the heyday of the factory and the trade union. Instead of warriors or workers, we are more than ever before consumers. In the rich world – and in the developing world increasingly, too – identities, politics, the economy and the environment are crucially shaped by what and how we consume. Taste, appearance and lifestyle define who we are (or want to be) and how others see us. Politicians treat public services like a supermarket of goods, hoping it will provide citizens with greater choice. Many citizens, in turn, seek to advance social and political causes by using the power of their purse in boycotts and buycotts. Advanced economies live or die by their ability to stimulate and maintain high levels of spending, with the help of advertising, branding and consumer credit. Perhaps the most existential impact is that of our materially intensive lifestyle on the planet. Our lifestyles are fired by fossil fuels. In the twentieth century, carbon emissions per person quadrupled. Today, transport and bigger, more comfortable homes, filled with more appliances, account for just under half of global CO2 emissions. Eating more meat has seriously disturbed the nitrogen cycle. Consumers are even more deeply implicated if the emissions released in the process of making and delivering their things are taken into account. And, at the end of their lives, many broken TVs and computers from Europe end up in countries like Ghana and Nigeria, causing illness and pollution as they are picked apart for precious materials. How much and what to consume is one of the most urgent but also thorniest questions of our day. This book is a historical contribution to that debate. It tells the story of how we came to live with so much more, and how this has changed the course of history. Marshall Plan may well have been surprised by her response. She was very happy about winning but, she wrote, to be honest and without trying to sound ‘impertinent’, she wondered whether she could not rather have a Lambretta than a Vespa. For the entire last year she had ‘passionately’ longed for a Lambretta. The Ministry refused and sent her the Vespa. This snapshot of young Heidi Simon, tucked away in the German federal archives, is a reminder of how the large forces of history intersect with the material lives and dreams of ordinary people. The Marshall Plan was a critical moment in the reconstruction of Europe and the advancing Cold War divide between East and West, but its recipients were far from passive. Heidi’s outspoken desire for a particularly stylish consumer good in the midst of rubble also challenges the conventional idea that consumer society was the product of galloping growth in the age of affluence, the mid-1950s to 1973. It jars with the sometimes instinctive assumption that people turn to goods only for identity, communication or sheer fun after they have fulfilled their basic needs for food, shelter, security and health. It is no coincidence that this psychological model of the ‘hierarchy of needs’, initially proposed by the American Abraham Maslow in 1943, gained in popularity just as affluence began to spread. According to this theory, Heidi Simon should have asked to trade in the Vespa for bricks and mortar and perhaps some savings bonds, rather than hoping for an upgrade to the 123cc Lambretta with its sleek single-piece tubular frame. “Empire of Things How We Became a World of Consumers, from the Fifteenth Century to the Twenty-First” has been released today. The book has been reviewed and cited in The Times, Independent, Financial Times, Daily Mail, Times Higher Education, The Guardian, Evening Standard,and The National.